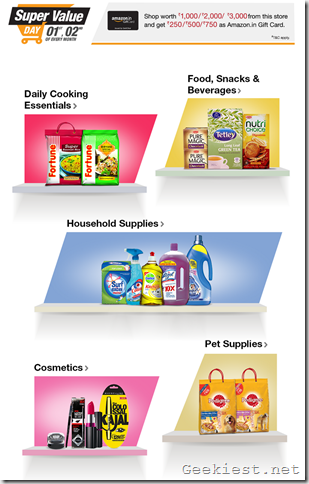 Amazon India has begun its monthly Super Value Day promo, which offers Free gift cards for eligible purchases. Note however, this offer is only valid for products listed at the promo page. 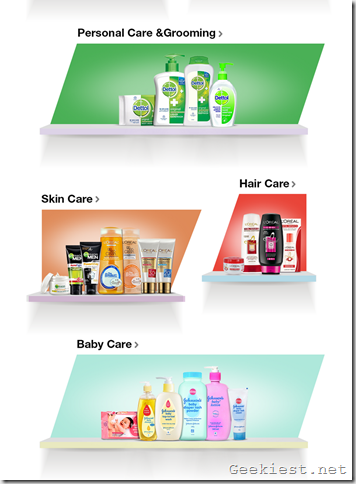 You will get a free Amazon India gift card (as cash back) worth Rs. 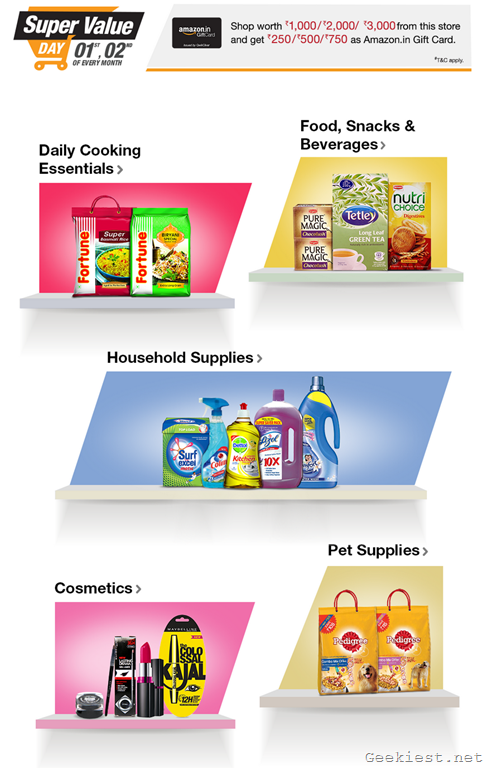 250/500/750 for purchases above Rs.1000/2000/3000 at Amazon India’s Super Value Day store page, from the product categories listed above. Please read the Terms and Conditions listed at the official page, before making your purchase. You will only get a gift card, if a single order’s value is Rs. 1000 or above. Only one gift card will be given to a customer, and if a customer places multiple orders, only the order with the highest value, will be considered. This was a bit disappointing for users, who wish to buy electronic items under this offer. The offer is valid till 2nd September, 2015 11:59 PM.